Cheer on your favorite team with this Oklahoma City Thunder 3' x 5' Deluxe flag from WinCraft! Let everyone know that you cheer for the Oklahoma City Thunder! 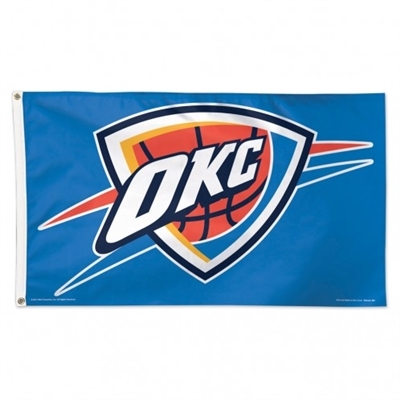 It features vibrant Oklahoma City Thunder graphics and colors so you can show off your team pride!